Even though we just kicked off the 2019 Epcot Festival of the Arts, we’re simultaneously looking forward to the second Festival of the Epcot year: the 2019 Epcot Flower and Garden Festival! 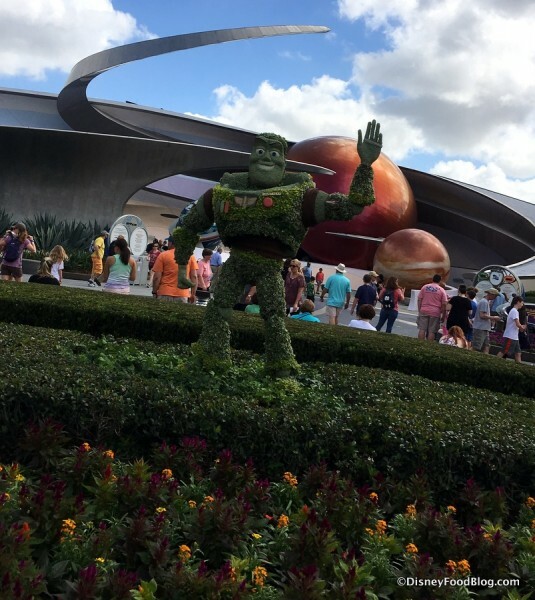 Just this past week, we shared that a new topiary would be joining the displays in Future World East, themed to the upcoming Disney-Pixar film, Toy Story 4. 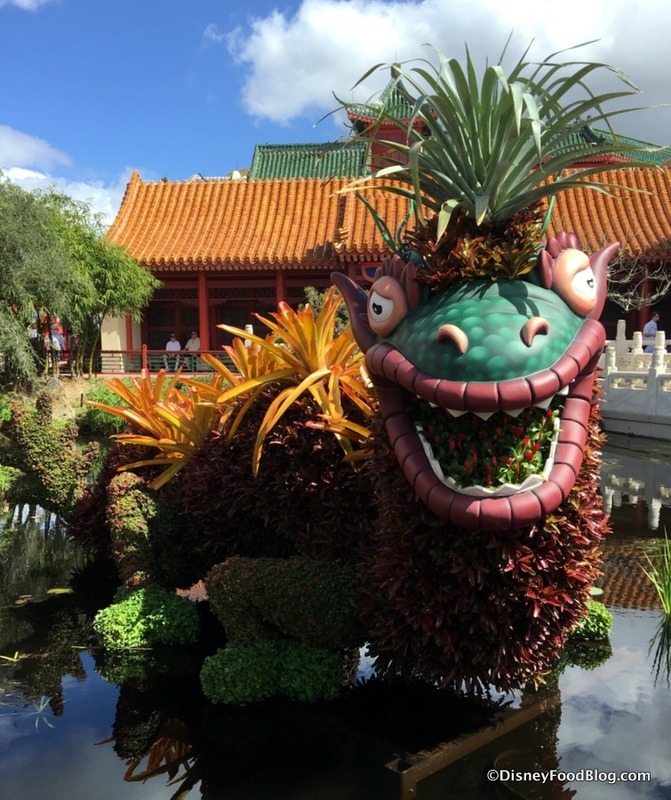 Returning topiaries will include — among many others — Anna and Elsa in the Norway Pavilion, the beautiful Bromeliad Dragon in China, and Lady and the Tramp in Italy. 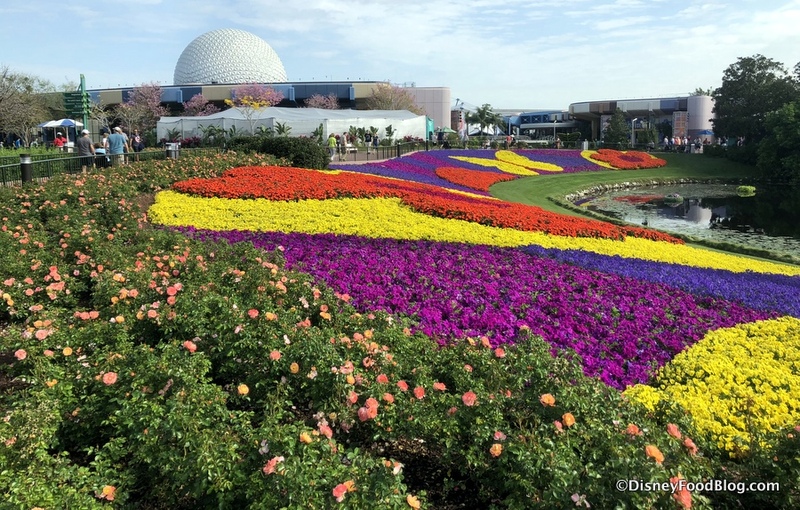 It’s also been revealed that Mickey and Minnie will be enjoying a picnic with topiary hearts at Showcase Plaza, and Miss Piggy and Kermit the Frog will be located in the France Pavilion. 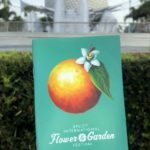 Remember to keep your eyes peeled for (or find, with the help of your Flower & Garden Festival Passport) special Gardens and Exhibits celebrating nature and all things that bloom! 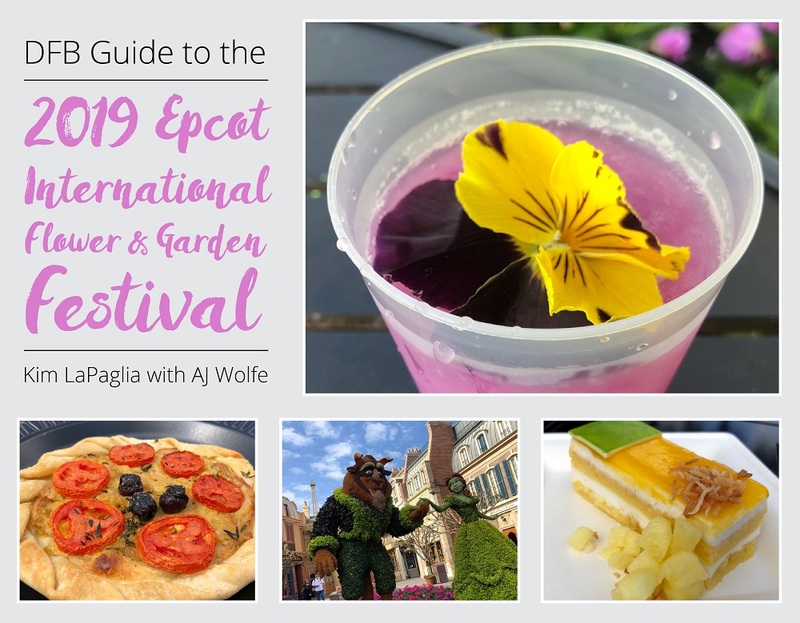 Some will be located near the Outdoor Kitchens (the Festival’s food booths) showcasing fresh ingredients for the Kitchens, while other exhibits will include the new Penguin Sculpture presented by DisneyNature which will be created from repurposed trash pulled from the oceans. You’ll see this new sculpture at Future World West. And from March 8-10, guests can take up paint and stencils to create artwork at Barrels by the Bay. The barrels will be Coke Florida syrup receptors, “recycled to protect community waterways from storm water runoff pollution.” It will be located near Mouse Gear. 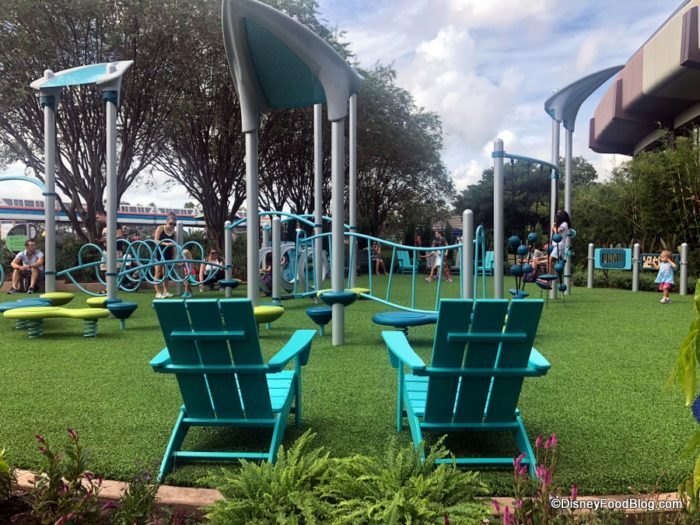 The Family Play Zone near Taste Track will feature more Toy Story 4-themed fun with the announced Toy Story 4 topiary. 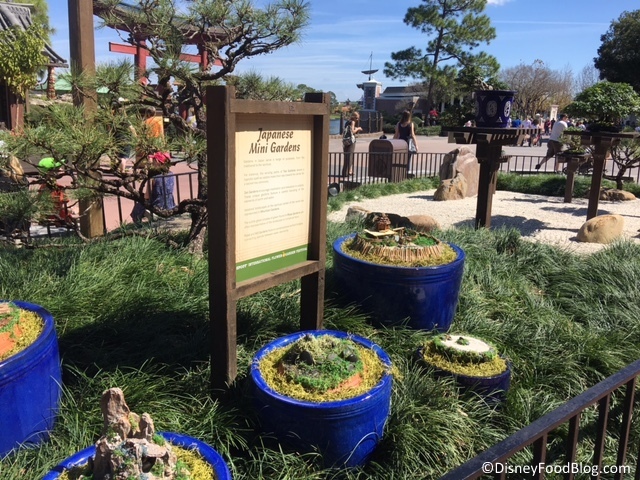 And favorite returning exhibits will include the Bonsai Trees in the Japan Pavilion, the English Tea Garden presented by Twinings of London, and the Garden Butterfly House. Guests will also be able to check out the Purple Martin Garden “as they soar to and from their nests in our purple martin bird houses. These amazing migratory birds flew over 3,000 miles from the Brazilian Amazon to raise their families” at Epcot! Cast Members from Disney’s Animal Kingdom will share their knowledge with guests on Tuesdays and Thursdays at 11:00 AM. Guests looking to enhance their visit to the Festival with more in-depth presentations will want to keep in mind the following extra-ticket tour options — some of which are offered only during the Flower & Garden Festival and some year-round tours that are enhanced for the Festival: the Behind the Seeds Tour, the Royal Tea Garden Tour, the English Tea Garden Tour presented by Twinings, and the Spring edition of the Gardens of the World Tour. 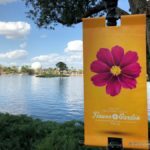 Find out more information by visiting our Epcot Flower and Garden Festival Page! 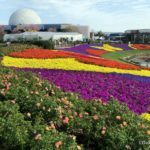 Are you planning to attend the Epcot Flower and Garden Festival this spring? Please let us know with a comment! 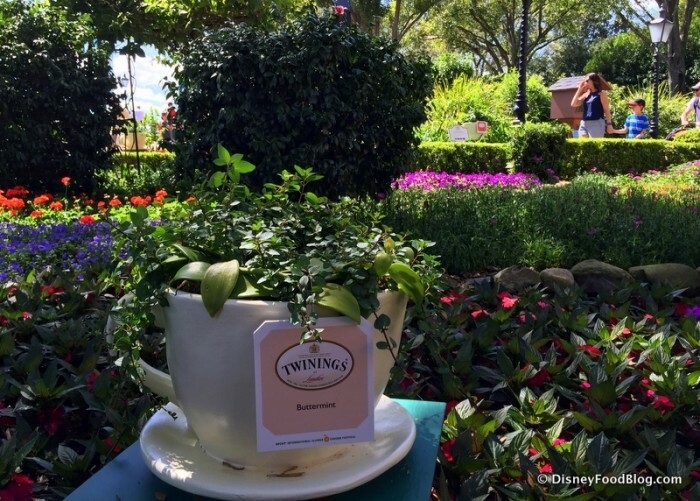 Hello, How do I book the Tea Tour in the UK garden? Is the troll topiary back in Norway? Hi, Stacey! Disney hasn’t announced times for the tours yet, but you can reserve a spot by calling 407-WDW-TOUR. 🙂 Enjoy! Steven, it’s listed as returning this year, but we didn’t see it on our last visit. Shannon, things should still be in full form on the last day of the Festival!